Fleur*t is known for its effervescent yet elegant style, offering floral, event and design services that combine an eclectic selection of the classic and the contemporary. 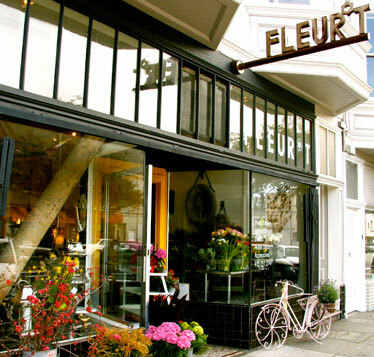 Fleur*t is a beautiful storefront in San Francisco on Sacramento street..
Come in to see our collection of one-of-a-kind decorative pieces, art, jewelry, fresh cut flowers and potted botanicals. Fleur*t specializes in pairing old with new using an assortment of local and global hidden treasures.